The Canadian Academic English Language (CAEL) Assessment is a standardised English language test that evaluates a student's ability to use English at the level of post secondary school as it tests reading, listening, writing and speaking skills commonly used in an academic domain. This feature differentiates CAEL from other language proficiency tests like International English Language Test System (IELTS) or Test of English as a Foreign Language (TOEFL), which test global language proficiency. The assessment exam can be taken as an alternative to TOEFL or IELTS, unless a university specifies the submission of CAEL scores during admission process. CAEL scores are accepted for university admission at most Canadian and some U.S. universities. If you are looking to pursue higher studies in Canada after 10+2 secondary education, CAEL Assessment will be an essential part of your application to full-time degree studies in Canadian universities. Some U.S. universities also accept CAEL scores, but you will need to identify and confirm with these specific universities before you send your application. In general, universities require a demonstration of English language proficiency for students whose first language is not English. Note that if you have studied in Canada, the U.S., the U.K. or any country whose primary language is English, within the last three years of high school, college or university, you may not need to sit for the CAEL exam. In such a case, students can present official transcripts to indicate the duration of academic study in these countries. 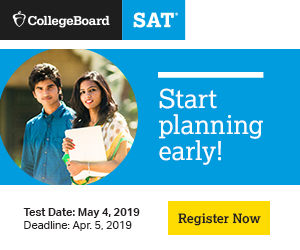 Also, some Canadian universities and universities in other countries like Sweden do accept CAEL scores but do not necessarily advertise the same on their website. The CAEL test serves to meet a crucial admission criterion for international students applying for undergraduate/postgraduate/graduate programmes in Canada and a few other countries. For those seeking admissions to undergraduate programmes, 10+2 or 10+1 secondary education is sufficient academic background that would later qualify you to apply to universities abroad, once you clear the CAEL. Registration for the test requires a valid passport and an identification document. There are no restrictions on the number of times you can appear for the test. However, registration for the next test can only be processed once the previous test results are released. Reading section (50 minutes; two readings): You will be required to identify and classify the core idea and information provided as extracts from textbooks, magazines, graphs, documents and brochures. Listening section (20 minutes; prerecorded lecture): Adapted from a first-year university course lecture and played only once, you will answer questions while listening. Tasks range from taking notes, completing charts to identifying information and filling in blanks. Writing section (45 minutes; one essay topic): Based on the initial essay topic and information from the Reading and Listening sections, you will be asked to agree or disagree with a claim, present arguments for/against and discuss the advantages and disadvantages of the particular action. Speaking section (25 minutes; five tasks): Speaking tasks could involve summarising main points after listening to group discussions, relaying information or making short presentations. The scoring pattern for CAEL usually follows one point for one answer. A question that carries three points would require three responses to different parts of the question. Test results for international testing locations are released 15 days after the exam date and you will receive your Score Report by email. The result of a CAEL exam is valid for two years. The CAEL Assessment Score Report profiles your English language proficiency in four areas, namely academic reading, writing, listening and speaking. The overall result is described in form of a band score that could span between band level 10 and band level 90. Fluent: Communicates accurately and effectively in all professional and academic settings. Expert: Demonstrates a high level of competence. Language is accurate and flexible in unfamiliar settings. Adept: Uses generally accurate language in most settings. Some limitations in flexibility are evident. Advanced: Displays competence in academic or professional settings. High Intermediate: Exhibits some competence in academic or professional settings; communication may break down in places. Intermediate: Demonstrates some ability to comprehend and articulate complex ideas and arguments typical of academic or professional settings. High Beginner: Expresses basic ideas about familiar topics in routine settings. Low Beginner: Communicates with limited ability. Band scores are interpreted by classifying scores in ranges, with each range serving as a specific indicator of the candidate's language proficiency. Need to increase your level of academic English before you meet admission requirements for Canadian University degree programs. May meet academic English language requirements for admission to a few Canadian degree programs. Meet academic English language requirements for admission to some Canadian University degree programs. Meet academic English language requirements for admission to Canadian University degree programs. You may opt to send your test result to up to ten colleges or universities free of charge. You will be required to mention the details of these universities at the registration stage itself. For undergraduate programmes, results are automatically communicated to the offices of the selected universities. CAEL test administrators allow test takers to apply for a test review within four weeks of the test date. Each component of the test is rescored and analysed and test review results are provided within 15 days of submission of a review request. Visit the CAEL India website to select a test location in India. The test centre contact details for the cities of Bangalore, Baroda, Chennai and Delhi are listed on the site, and you may contact your nearest testing centre directly to find out about upcoming test dates. The first step towards sitting for a CAEL exam is an online registration process wherein you will submit personal identification and relevant academic background information. The official CAEL Assessment website lists the various test centres around the world. Visit the CAEL Assessment India OVICS site to fill the registration form, select a test centre in/near your city and choose a test date. You must hold a valid passport for successful registration. Registration for a particular exam date closes three days before the exam. A Reschedule form is also available on the site in case you wish to change your exam date. Disabled test takers are required to provide documentation of their disability at least a month in advance of the test date for the test administrators to suitably accommodate the candidate. The registration fee for CAEL Assessment for international students is $195.00 CAD. An additional fee of $60.00 is charged if you reschedule your test date. The fee for rescheduling an exam date is $60.00. You may cancel a test date by informing the CAEL Assessment Office at least two business days prior to the actual test date, which will make you eligible for a fee refund. However, an amount of $60.00 is deducted for administrative charges. The fee for test review is $65.00 per test component (reading, listening, writing or speaking). Familiarise yourself with the test format before you begin your preparation. This can help you understand your strong and weak areas in the different exam sections and you may plan your preparation accordingly. You can purchase the CAEL Assessment Test Takers' Preparation Guides from the official exam site. Released annually, these guides contain various strategies and skills useful for successfully clearing the exam, along with practice tests and recordings of lectures and transcripts on CD. Carry proof of your online registration and the same identification document you used during registration to the test centre on exam day.